Shopping is one of the tasks which people love to do in there free time. And when the market is shifted to the electronic device it becomes a craze. Whatever you want to buy like grocery, appliance, gadgets, etc. we prefer online stores. Without moving to many shops we can purchase things online that is delivered to our address. WooCommerce has become one of the most favorable hotspots for many business owners. When it comes to online stores, shipping is one of the most important factors affecting people’s purchasing decisions. Free shipping always attracts people to meet their checkout which is only possible by using WooCommerce Shipping Plugins. On the other hand, people with more than expected shipping costs will have to stop buying. In this way, a comprehensive shipping policy must be your top priority. Because it helps you to score extra points with your customers and helps them get back to your WooCommerce store. To manage the shipping of your WooCommerce store you must know about the shipping plugins. Keep Calm! Here we are with the top 31 WooCommerce Shipping Plugins. Table Rate Shipping is in the no. 1 position for best-selling in WooCommerce shipping plugins list that is available on codecanyon. If your budget is limited, this plugin is best for you. Now, in other words, to define multiple rates for a registered customer that is based on your shipping conditions including your shipping destination, item shipping class, subtotal, price, weight, cart and more. The Price of this shipping plugin is $21. Volumetric shipping, tax inclusion, simple bundling, handling fees as well as various shipping rate choices. Easy customization makes it the most famous plugin for the e-commerce business. shipping cost is base on total price and total weight. Table Rate Shipping from WooTheme is a flexible plugin for running an overseas e-commerce store. And makes it really easy to create complicated shipping rules for your international shipments. Also, you can add the rules based on price, product weight, shipping class, number of rates and you can set multiple rates based on the product destination. As per your requirements, you have to create the shipping zones and shipping rules to calculate cost correctly. However, It will take care of all the calculation for you. The price of this plugin is started from $199 to $399. Multiple tables of rates per shipping zone. Define several shipping rates based on location, price, weight, or item count. The WooCommerce Weight Based Shipping plugin is a super, simple, flexible and easy to use. Its focus is on cart weight to calculate shipping fees. However, it has a predefined section that permits you to add many rules that are based on various countries, cart weight, and subtotal ranges. Other features of this plugin include configuring a progressive price that is based on cart weight, offering free shipping based on the subtotal cost or both. In addition, the Price of this plugin is $17. Create as many shipping rules as needed for different order destination, weight, and subtotal ranges. Each rule can be configured to disclose a progressive value based on fixed price (such as flat rate) or weight of the cart or both. In some cases, you want to ship for free on the basis of subtotal, total weight or some other condition. That can be obtained with a plugin in a moment. Override shipping rates for each shipping class. Bundle Rate Shipping is one of the most popular plugins for e-commerce business. It is designed for creating flexible bundled shipping rates that are based on destination. Thus, if you wish to set more than one shipping method for various categories or shipping classes, so you can configure this plugin to fit your needs through simple steps. Also, you can set various shipping rates for different countries, and surely, this plugin is translatable. The price of this is $22. Seamless integration and easy configuration with WooCommerce. Sets more than one shipping method for different categories or shipping classes. Set different shipping rates for different countries. This shipping plugin permits your customers to select and reserve a delivery date and time according to your orders. The store owners can mark available shipping days as well as set specific time slot. However, you can restrict specific time slots to a certain number of orders or enable a “lockout” number for each time slot. Further, you can easily define particular days(like holiday or breaks) in the year when deliveries are unavailable. The plugin offers full control to all customers over their shipping. And delivery times with the reserving date and time of shipments. You can buy this plugin for $17. Can easily integrate a WooCommerce delivery date as well as time selector into your checkout. Based on the selected shipping method, it can restrict the date and time of any slot selection. Charge an additional fee for the same day or next day delivery. Set the number of available time slots, assign them to specific days, moreover, set a maximum number of deliveries allowed on any given day. After Ship WooCommerce tracking plugin is free to use. By installing this plugin, you can automatically add carrier fields and tracking number to your admin panel and see them on the customer’s order history page. It supports over 200 international carriers all over the world such as USPS, UPS, DHL, FedEx, and shipment tracking. Notifies customers of the status of the shipment. Allows users to analyze the overall performance of the shipments. Allows users to modify the content of the order completion email. This WooCommerce shipping per product plugin has both a free and paid version. It enables you to choose available shipping gateways for every particular product that will be used at checkout. Thus, if no selection is made, then the WooCommerce default gateways are shown. However, this plugin is necessary for you, if you have any products and that product is only available for picking up at your local store or if you sell any service that does not require shipping. For example, if you choose only local delivery then only local delivery will be available for that product at the time of checkout. This plugin works perfectly with the new WooCommerce version. Also, this plugin also permits you to improve your customer shipping by offering a good delivery service. Sets cost for a simple and variable product for each customer location. Set default shipping cost to products if not available for any customer location from admin setting. Can restrict shipping to only specific countries and can skip shipping cost for free shipping products. Do you wish to make shipping easier for your customers? So, Shipping Multiple address plugin is your way out. In place of forcing your customers to make multiple transactions, the Shipping Multiple Addresses permits them to ship original products to various addresses with minimum one order. With a perceptive drag and drop interface, you can configure this plugin into your website fastly and easily. However, it can be especially useful around the holidays when more and more people are doing their holiday shopping online. The price of this plugin is $49 to $149. WooCommerce Advanced Shipping is the shipping plugin for WooCommerce store. This plugin is easy to use and permits you to create multiple shipping methods that are tailored to alone customers, countries, quantity, weights and so on. However, you can set various shipping price options including shipping costs, cost per item, tax status or handling fee. WooCommerce Advanced Shipping plugin is also easy to customize. And suitable for new WooCommerce version. The price of this plugin is $16. Full control when a package is created, and which products are added. This plugin allows customers to pick up delivery time and date on the checkout page as well as from a perceptive widget. The selection time for delivery will be shown in the admin area or sent to the administrator through emails. Delivery Time Picker for Shipping plugin also permits you to easily change how the date and time picker widget visible on the front end via changing text label, language, date and time formats without touching any type of code. It can customize text label and has multilingual support. Ability to restrict dates and date ranges as well as weekdays. Ability to enable/disable for specific shipping methods and limit the number of shipments. 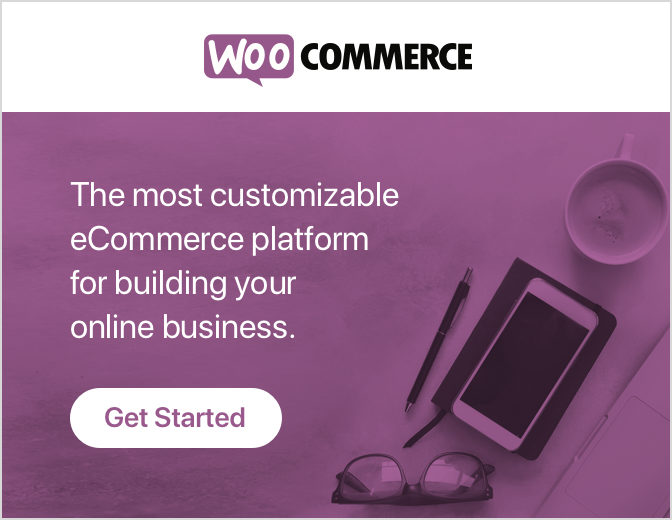 Advanced WooCommerce Shipping is complete all-in-one & smooth to use shipping plugin for WooCommerce, you have complete command over any conditions you need to create for your online buying platform. This plugin is used to estimate the cost of shipping. 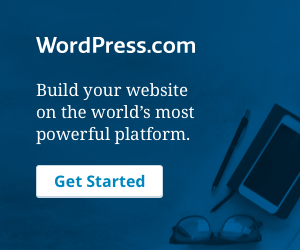 The key feature of the plugin is clean design compatible with the latest version of WordPress. The packaging grouping can be done according to shipping class, order line, item wise, tag, product, package, specific item, weight subtotal and consider tax and discount, quantity, volume dimensions, destination, customer date range, date range per order, Customer orders, Coupon. You can decide multiple costs according to package grouping. Calculate fees for each shipping class, item, tag, category, and product. FedEx Shipping Plugin is designed by Xadapter’s for WordPress / WooCommerce extension that helps you to fully automate FedEx transportation by displaying shipping rates in cart/checkout page, pay postage and print labels from within WooCommerce, automatically identify boxes to pack the products and enable tracking. The Key feature of FedEx shipping Plugin is, you can get real-time FedEx Shipping rates. It creates FedEx shipping labels manually as soon as the order is placed. Auto-generates FedEx returns labels, allows real-time FedEx shipment tracking. Provides email notifications to customer and owner. The plugin supports both domestic and international shipping, bulk shipment, SmartPost services. The Key feature it shows is displayed real-time UPS Shipping rates. manual and automatic generation of the label as quickly as the order is placed. Email notification of shipment for both customer and store owners. The plugin supports bulk shipment. Scheduling pickups for UPS shipments and UPS Freight Services. You can get real-time UPS Shipping rates. It generates labels Manually or Automatically as soon as the order is placed. WooCommerce DHL Express / eCommerce /Paket shipping plugin is used to integrate your online store with DHL, Express eCommerce, and Paket. You can choose any of the three services. Once you install, activate and configure the plugin, your whole shipping process will be checked out by getting the live shipping prices from API that generating return labels. This plugin is approved by DHL Paket Quality Control who has even allotted an official App Id for this integration. The free version of the plugin has only integration with DHL express. Can create a fast and easy label of all national and international orders. Automatically receive a tracking code for each label. Create Handover Notes conveniently for a smooth and reliable manifesting process in-line with the regional requirements for DHL eCommerce. Use additional delivery services as e.g. the visual check of age available via the API of DHL Paket or Cash on delivery by DHL eCommerce in selected countries. Offer Preferred Delivery Options to your customers via “Wunschpaket”. Canada Post WooCommerce Shipping Plugin able to provide live shipping rates straight to your customers in their shopping cart and at checkout. Also, provides up-to-date package detail from Canada Post’s Parcel Tracking service. This plugin is completely bilingual in English and French and is compatible with WPML, a multilingual plugin for WordPress. Canada Post PDF Shipment Labels can be generated on WooCommerce orders. It can be used to ship inside Canada as well as Worldwide. The key feature of Canada Post WooCommerce Shipping Plugin is Shipment Label Creation, Parcel Tracking Service, Live Shipping Rates in the Shopping Cart, Multilingual/Bilingual English and French, Multiple warehouses. The WooCommerce Multiple Carrier Shipping Plugin combines the power of shipping the table with real-time rates from shipping companies like FedEx, UPS, USPS, DHL Express and Stamps.com (USPS) to give you complete shipping solutions for your business. You can configure and set rules with the help of this plugin. It allows you to use various parameters like the shipping class, product category, and the prices all based on weight, the quantity of the item and price. Configure Shipping company or Service based on rules. Define WooCommerce Shipping zones and create Shipping Areas. Though this APG Weight Shipping WooCommerce plugin is not that big, it has some quite decent functionalities to offer. Based on the destination provided by the customers this plugin shows the shipping rates. Different rates for different shipping classes can be set, which sounds feasible and a good deal for any business. In addition, you can also set fixed rates and add some predetermined handling costs for products on your store. This plugin, in addition, allows you to ship your products through APG Shipping and you can configure the necessary details on the settings page of this plugin. Add a fixed cost of packing and/or handling per shipping. You can add, also cost of packing, an additional fixed cost an amount or percentage, per shipping or product. You can create an unlimited number of rates, rates with maximum weight and/or dimensions. Create rates for a number of items and cart total. You can assign rates to specific shipping classes. You don’t need to look forward to an amazing WooCommerce table-rate shipping plugin! This plugin will provide your WooCommerce site with table-rated shipping which is super easy to use – sometimes known as tiered shipping also. Adding and installing shipping rules in your WooCommerce store is super easy. It is super easy to use due to its very intuitive user interface. With the seamless integration with WooCommerce shipping zones, defines shipping by total cost, weight, include or exclude tax. Multiple tiers which are effective for most of the stores can be set up. WooCommerce cart based shipping method allows you to set different shipping rates according to the items a customer has in their cart. It consists of three calculation methods that are by the subtotal price, by the number of items in the cart and by the weight of the item. For example, the higher the sub-sum or weight of the car, or the more items the customer purchases, the higher the shipping rate. You can make this feature only available to certain countries. This Cart Based Shipping plugin adds a new shipping method directly to your WooCommerce settings and works alongside your WooCommerce store. The familiar layout and easy-to-use options will be easy to install and use in your store. Shipping is based on the cart’s subtotal, the number of items ordered, or the total weight of all items. Customize the shipping label output. Calculation based on prices with or without tax and subtotal before or after coupons. Set a fixed shipping rate or charge a percentage of the subtotal. Flexible shipping is the most advanced shipping plugin for the WooCommerce store, which allows you to calculate the shipping cost on the basis of weight and/or cart. Combine it with the Pro version and it will only become a WooCommerce shipping plugin that you will ever need. This plugin gives unlimited shipping methods and cost rules that can add titles and descriptions to your shipping methods. Shipping cost basically depends on cart total and/or weight as well as the minimum and maximum values for cart total and/or weight. Thus if the summing cost rules match – option to add costs on the basis of cart total and weight at the same time. This WordPress/WooCommerce royal mail shipping extension is basically a plugin that helps in displaying Royal Mail shipping rates during the cart/checkout page, on the basis of weight and dimensions of the product it automatically classifies packages into letters or parcels and enables tracking as well. To use this plugin, your store should use GBP currency and the United Kingdom as the base country should be, and your products need to be installed with weight and shipping dimensions. However, with the help of this plugin, you can choose which Royal Mail service you want to offer to your customers. Then you will be able to customize the way this store displays the services. You can change the display names of the services and also make a price adjustment for each. You can set up a fixed amount or a percentage amount as handling fees in addition to the shipping charges. Enable/disable, edit the names of, and add costs to Royal Mail shipping services. This plugin works in all countries where RoyalMail operates. Configure the plugin to automatically determine how items should be packed. WooCommerce Shipment Tracking Plugin helps integrate order tracking functionality for WooCommerce stores across the globe. By using this WooCommerce order tracking plugin, you provide an easy way for your customers to track your shipments to various shipping carriers around the world. Above all this plugin is a great example of how easy it is to handle order tracking. The plugin provides some of the most advanced methods of importing tracking details. On top of it, the plugin’s ability to work with different shipping carriers and personalize tracking messages displays the flexibility that this plugin provides. Add shipment tracking information to orders in an instant. Get WooCommerce Shipping Notification in Order Completion email. You can set up any of your advanced rules with the WooCommerce Advance Free Shipping plugin. Which determines when a free shopping rate will be available for the customer. Within each shipping rate, you can create multiple ‘OR’ position groups within each group with many conditions AND ‘conditions. This means that it is very easy to set up. For example, free shipping rates for multiple user roles in a shipping rate. Restrict WooCommerce shipping methods based on conditions. Works with existing shipping methods. Gives you full control over your free WooCommerce shipping rate. WooCommerce Shipping Plus is the most powerful and comprehensive shipping method plugin available in the market. Using this plugin, you can create unlimited shipping methods based on your needs. Best of all, you do not need any coding knowledge to use it. By using this plugin, you can create the status of your shipping method and charge a shipping fee based on your needs. It can enable or disable functionality for each shipping method which consists of shipping title, cost, taxable functionality for shipping method. Tax calculation of the shipping method integration. For promotional shipping offers it can automate the start and end date of shipping methods. Customize Shipping rules based on total price of products in the cart. Advanced Flat Rate Shipping WooCommerce plugin allows creating your own rules. Once these rules get satisfied then shipping methods are cited on the cart/checkout page. You can create unlimited methods according to your shipping rules using this plugin. It even helps you create shipping rules for your products, category, country, cart subtotal, and shipping class. However, being a highly customizable and best WooCommerce shipping plugin, it allows website owners to quickly create their own rules by using a single dashboard. Once created, the shipping rules apply to the car that meets the requirement of the rule. All this happens immediately for both website owners and buyers. United State Postal Service (USPS) is the largest delivery network in the United State. It is one of the most preferred. With the USPS account, you can do many things such as the purchase of tickets, print shipping labels, request for packages to be picked up, PO box, etc. Naturally, integrating the USPS shipping on your WooCommerce store will make it very easy to control the problem of shipping. In this post, we will discuss the best WooCommerce USPS shipping plugins and their features. Stamps.com offers a great alternative to small businesses and online store owners to print on their own official United States Postal Service stamps and shipping labels. Now, if you are looking for uninterrupted options to integrate Stamps.com service at your WooCommerce store, this plugin can help to fully automate USPS shipping on your online store. However, it helps you to show the shipping rates at the checkout or in the cart page, pay postage and print labels from within WooCommerce, automatically pack items in boxes, and tracking facilities. Consequently, to show the USPS postage rate from your Stamps.com account, this plugin uses parameters like shipping destination, product weight, box dimension etc. And it applies to both domestic and international shipping services. Also, you may select to withdraw actual rates given by Stamps.com, or, if available, you can use any of the discounted rates. For international shipping, when different currencies are included, this plugin also provides an option to set conversion value. Automatically generate and print shipping labels after paying mail from your stamps.com account. Shipping tracking number added to the order note to enable flawless tracking of your shipment. Large range of services including USPS Critical Mail, Priority Mail Express International, Priority Mail Express etc. Easily modify the cost of a specific service from the plugin’s settings. Translation ready with complete support for WPML (WordPress Multilingual plugin). Stamps.com account manager to help you to deposit funds in your account. This plugin single site’s license is $69. This is is the second method for integrating the Stamps.com API on your WooCommerce store. You will be able to generate the USPS shipping label using this extension. However, you will not be able to display the USPS shipping rates on your cart and checkout page using this plugin. WooCommerce is another plugin dedicated to this. Therefore, in fact, if you want to display the rate and print the shipping label, then you have to buy both premium extensions of WooCommerce. Thus, comparatively, the XAdapter plugin described above certainly makes an outfit when you are looking for a cost-effective alternative. If you are not looking for the USPS shipping rate cart display, you can look forward to this plugin. It provides a great integration with Stamps.com, as well as the process of refund. In addition, you can easily manage your Stamps.com account with this plugin. More importantly, for WooCommerce customers, Stamps.com offers a special rate, which will really cut your shipping cost significantly. This has become possible with the assistance of Intuiship, which is a postage partner of USPS. The single site license for this plugin starts at $79. It allows all USPS shipping services. It gives the discounted Stamps.com insurance – you can save 10% in comparison with USPS rates on package insurance. Priority Mail Express and USPS Priority Mail. You can use this plugin if you want to show the USPS shipping rates on your WooCommerce store. This plugin will show the USPS shipping rates on the cart and checkout pages so that your customers can reach the largest delivery network in the United States. USPS shipping method will allow you to enable or disable specific services in your store. In addition, you can edit the names of these services or change the cost. Also, this plugin also helps with box packing which lets you open group items in packages. For each package, you can define the height, width, length, weight, and maximum-weight. Packing is primarily quantity based, but it also considers the size of the item, and it will not be completely accurate. And, as discussed above, if you want to print the shipping label, you will have to buy an extension which is an integration with the Stamps.com account. Allow/disallow, edit the names of, and add the costs to services. Pack items using the built-in box packer or individually. This is a great option to set the USPS live rates on your WooCommerce store. You will be able to display live USPS shipping rates on your WooCommerce Cart and Checkout pages. When a tracking number is included, it will also update your order with tracking order. Also, this plugin helps to modify the shipping cost of individual USPS services according to requirement. It also provides the ability to use the shipments boxes in the rate calculation. By default, this plugin has a bilingual option with English and French languages, and it is ready for translation of files with ‘.po’ and ‘.mo’ extension. To use this plugin, you need to have an account with the USPS Web Tool extension. You can register for this free on the USPS website. XAdapter USPS Shipping plugin does everything you need for management of your WooCommerce USPS shipping. You can show shipping price in cart and checkout pages, print labels within WooCommerce, automatically pack items in the box and enable tracking too. However, you have to buy postage separately from USPS. The shipping labels you print using this plugin will be marked ‘posting required’. Also, you will find alternative features such as post date request and email ship notification of the receipt. With this plugin, you can show the prices of domestic, international and flat rate services of USPS. In addition, you’ll get trouble-free box packing options, or you can choose to pack items individually. You can set up the plugin to show all the available prices or only the cheapest option. In addition to this, you can also use online or offline rates, and enable or disable commercial prices. Also, this plugin helps you to use unpacked item prices, and show a predefined fallback rate, in case USPS does not return any rates. ELEX WooCommerce USPS Shipping Plugin the easy & well effective way to add USPS in WooCommerce website. it gives you relief from copying & pasting order details to create a label. It automates the task. The plugin supports WooCommerce 3.0 and provides 1 year of support and update service with the one-time payment for a year. one more secure thing about the plugin is that you are protected by the 30-day money back guarantee. You can continue your subscription with a 20% discount for a year. Furthermore, The feature of the plugin is live shipping rate, advantage shipment tracking, and flat rate shipping. In conclusion, online businesses are incomplete without Shipping facilities. If you are willing to make a shopping site or niche comparison site for fashion or gadgets website, these WooCommerce shipping plugins add-ons can help you to manage all kind of task related to shipping. This blog is a step forward to introduce you to the top WooCommerce Shipping Plugins for your online business. Select the plugin which best fits your business. If you like the article please like and share with others also. Leave a comment if you have a query or a unique business case that you would like to discuss. We are always here to help you! We provide the instant solutions for WooCommerce Setup. If you are facing any type of error realted to WordPress then feel free to contact us as our WordPress support services are available for you 24/7. Dial our Toll-Free number +1-844-275-0975.